The mainstream media is filled with articles these days about how you must try the beef and wine in Argentina. You must have a steak and malbec they say. Do they mention beer? Maybe. Fernet? I have yet to see it. Probably because these journalists haven’t enjoyed an asado in someone’s backyard or quincho (the indoor barbecue party playroom). Although Fernet may be spotted at tables in parrilla restaurants, you don’t see it as often there as you do at a personal asado gathering. Where you’ll usually find a few guys at one end of the table having a lively discussion while ever so often refilling their glasses with this dark thick liquid-sometimes with a touch of Coca-Cola. Some start with Fernet and stick with it from the beginning to end while others crack open the bottle when no more meat will be consumed. 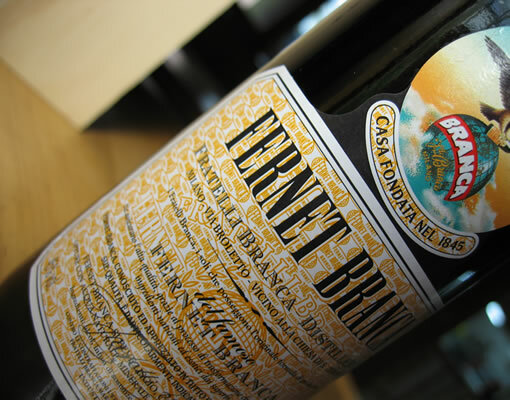 Fernet Branca, that’s what I’m talking about. If you’ve never tried it or anything similar, well, you need to take a swig at least once in your life. However, that first taste will probably bring back memories of your early life when you experimented with the taste of rubber bands. Some love it while others hate it with a passion that will even make a grown man cringe upon taking a whiff of this herbal alcoholic beverage. Me, although it isn’t something that is always stocked in the bar, I like it on occasion. A long time passed before I reached that point, let me tell you. Give it a try. It’ll grow hair on your chest.